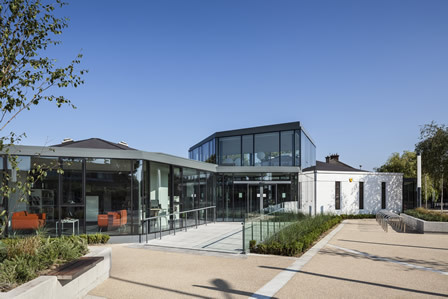 Dún Laoghaire Rathdown County Council is the first local authority in Dublin to introduce My Open Library, a new service facilitating additional opening hours at Deansgrange Library. My Open Library offers extended opening hours to library members on a self-service basis outside normal opening hours, from 8am to 10pm, seven days a week, 365 days a year. There are no staff present when My Open Library service is in operation. The library is monitored by CCTV cameras all the time during My Open Library mode. Library members must be 16 years of age or over to avail of the service. They can access Wi-Fi and avail of self-service printing and photocopying, borrowing and returning items and using the Internet. Opening hours with library staff are as normal, and staffing levels at all libraries are not affected by the service. With the support of government funding, My Open Library is already operational in Banagher and Tullamore Libraries in Offaly, and Tubercurry Library in Sligo. My Open Library facilitates access to Deansgrange Library for the wider community. Users can access the library at times that suit them best, especially for those people who cannot get to the library during the normal opening times. "My Open Library responds to the commitment of the Council to meet the needs of our local community. This new service offers further opportunities for the public to enjoy the welcoming environment of Deansgrange Library and use its facilities”.